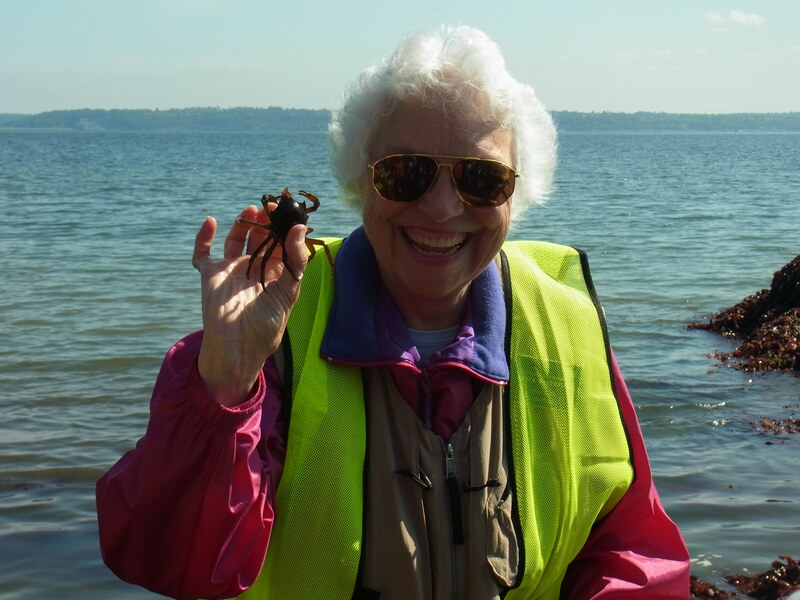 In this podcast, Maradel Gale of the Sustainable Bainbridge program called Bainbridge Beach Naturalists describes the Saturday May 17th guided exploration of the beach near the Eagle Harbor ferry pier. 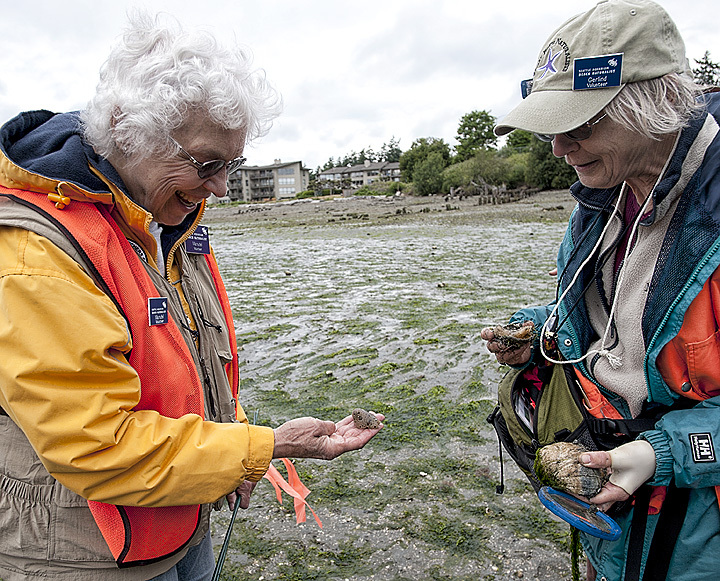 The Bainbridge Beach Naturalists create opportunities for the public to explore our Bainbridge Island beaches with trained naturalists. During low tide events, adults and children accompanied by naturalists are on the beach looking for the amazing sea life that shares our shores with us. The beach naturalists have been trained by the Washington State University (WSU) Extension Beach Naturalists and Beach Watchers program, and the Seattle Aquarium Beach Naturalist program. No advance reservation is required for adults or children to attend a beach exploration. Just show up in time for the 12:30pm start. Dogs are not allowed. 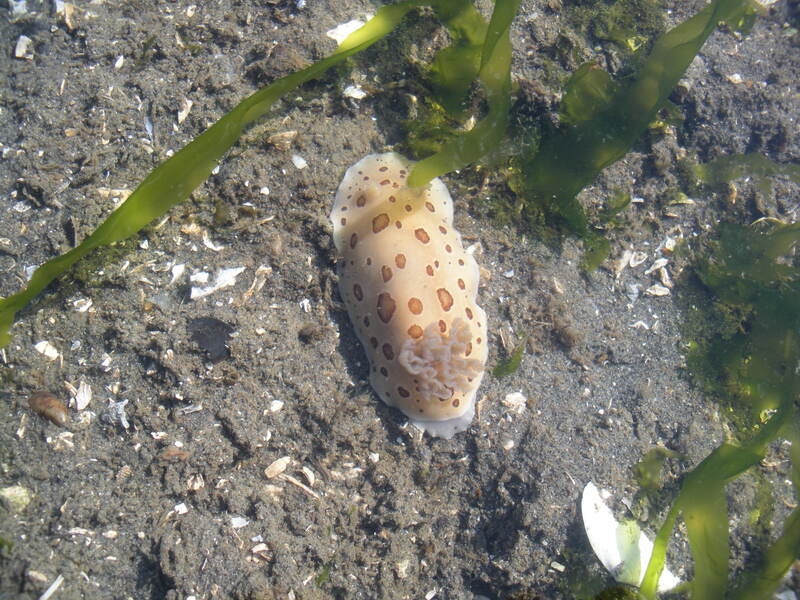 The May 17 exploration will be from 12:30 to 2:30pm. Park your car on Bjune or Brien and walk through Waterfront Park; cross the Ravine Creek on the wooden footbridge at the east end of the Park. Then, after walking along the ferry terminal’s metal fence, cross Harborview Drive and follow the trail by the residential condos to the beach access. Credits: BCB Interviewer Barry Peters; BCB Audio Editor Jeffrey Powel; BCB Ferry/Music Intro: Jeffrey Powel of Dogfish Bay Studios; BCB What’s Up music splash: Dave Bristow.